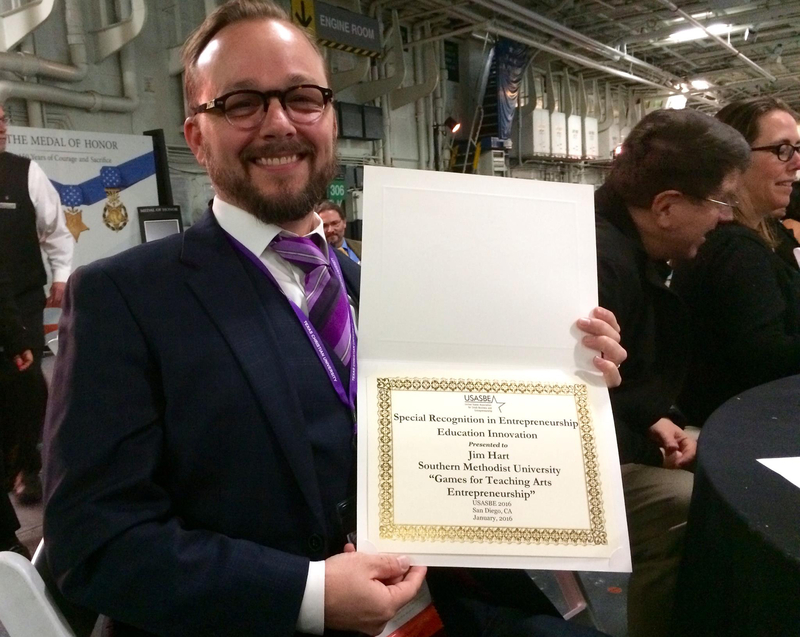 I was honored this January (2016) to receive the Special Recognition in Entrepreneurship Education Innovation award (for a series of my original games) at the United States Association for Small Business and Entrepreneurship (USASBE) conference. USASBE is the largest private entrepreneurship conference in the world. The award process involved a blind peer-review process, followed by a live presentation competition with other finalists at the conference. The attendees voted on the winner.